The Internal Revenue Service (IRS) headquarters in Washington, D.C.
Virginia mom of three Brooke Taheri opted to spend her Valentine’s Day working on her taxes, never imagining the holiday could get any less romantic. Then she discovered her identity had been stolen. “You get that sinking feeling in your stomach,” said Taheri, 37, of Fairfax County, describing the moment she realized something was wrong. Tax-related identity theft is a growing concern, according to the Internal Revenue Service, which named it as one of its “dirty dozen” tax scams of 2015. 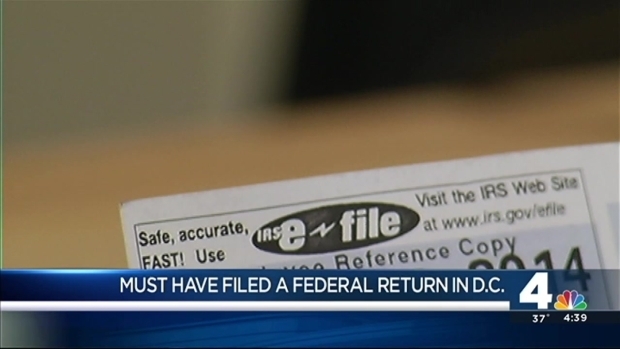 A wave of fraudulent tax returns are being filed. 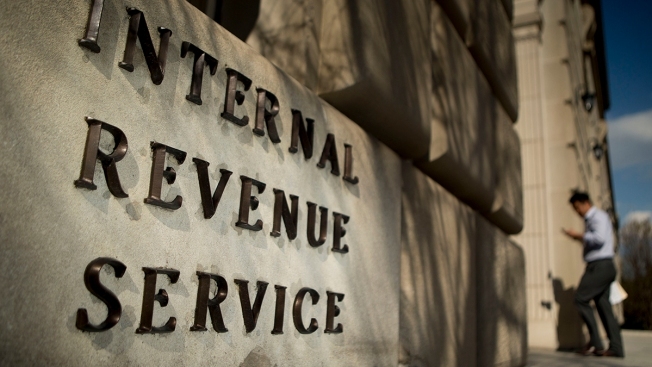 The IRS says D.C. has one of the biggest problems with tax fraud related to identity theft. “Preventing and detecting identity theft and refund fraud remains a top priority for the IRS," the government agency said in a statement. "We have added and strengthened protections in our systems, and we continue to make important progress in stoping identity theft and other fradulent refunds." Last year, the IRS initiated 1,063 identity theft-related investigations and the Federal Trade Commission reported receiving 109,063 complaints about tax-related identity theft, according to the IRS website. Taheri found out she was a victim when she tried to e-file her taxes and got a notice saying the IRS already received her forms. “I was livid and completely frustrated,” Taheri said. Yet submitting your tax return is the only way to uncover the distressing news before the tax season's deadline hits. Credit card companies continually monitor customers’ behavior, making it easier for them to pick up on any unusual activity. The IRS, however, only connects with taxpayers once a year. Fraudsters typically file early, beating taxpayers to the punch and making it difficult for the IRS to detect discrepancies against employers’ information, which the government agency receives in late spring. If you live in D.C., there's a new way for you to protect yourself from tax fraud. Consumer Reporter Erika Gonzalez explains the added layer of protection. Since many Americans have yet to file their returns this tax season, it is too early to tell how many others are victims of tax-related identity theft although the majority should not be affected. About 1.5 million taxpayers received Identity Protection PINs, a six-digit unique number, by the IRS last year as part of a pilot program. The agency provided them with the extra security measure to all identity theft victims, including those whose data was compromised in schemes unrelated to their taxes. The IRS also offered the PINs to another 1.7 million taxpayers whose accounts signaled they could be victims. Filing early is one recommendation, but that didn’t prevent Taheri from experiencing a “very labor intensive” aftermath. “Thus far I’ve spent over four hours on music hold with different federal and local government agencies and then once I talk to people it’s been another hour and a half,” she said. Taheri filed a police report, contacted the IRS and the FTC, and checked with the Social Security Administration and other agencies to determine if her information had been used illegally, she said. And she still had to file her taxes, but now she must submit a paper copy along with an identity theft affidavit so the IRS can conduct its investigation, she said. Updating your passwords and usernames regularly, and monitoring your credit report are a few other steps taxpayers should take to avoid identity theft, according to resources available on the FTC and IRS websites. Another suggestion: Don’t give your personal information when it is not required of you or through unsecure channels. Taheri, who works in finance, admonished herself for failing to set up identity theft protection earlier. She said she has now signed up for it. Taheri is also keeping a close eye on her credit reports and planning how she’ll avoid this in the future. And after a headache-filled Valentine's day, Taheri — who wasn't expecting a big hoopla — was finally able to celebrate with her family. "By the time I got off all the phone calls, I think we got carry-out."